Planning and designing roundabouts has never been easier. TORUS® gives you the right tools to design roundabouts smarter, more efficiently, and with fewer errors while giving you the ability to make better decisions regarding safety. TORUS produces initial geometry that is generated with your design criteria in mind, and provides real-time feedback regarding recommended dimensional and analytical ranges. 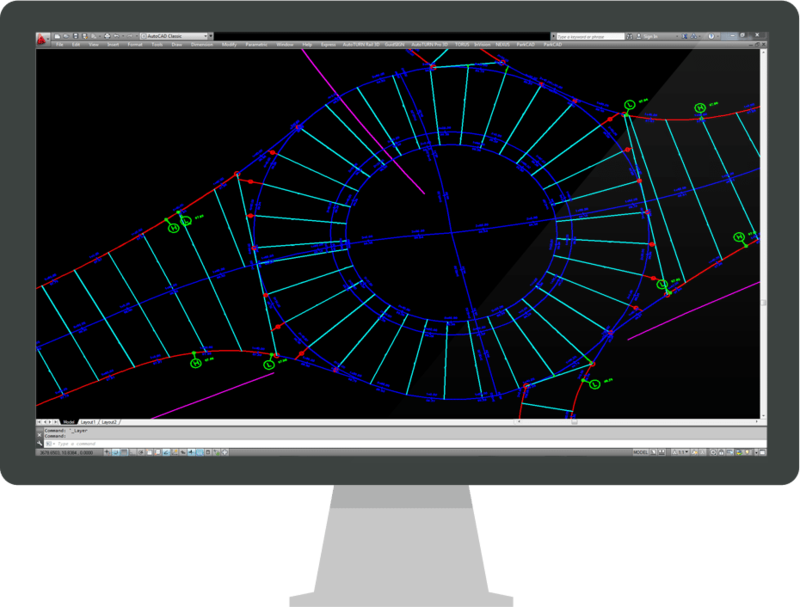 As TORUS’ parametric, dynamic editing allows users to quickly implement geometric changes, it’s the real-time analysis feedback from the fastest path, path overlap, sight lines, and vehicle movements that inform designers of the editing decisions that takes the roundabout design process to the next level. New guidelines have been incorporated, such as TAC 2017- Canadian Roundabout Design Guide and NCHRP Report 672. Perform design grading that is more flexible based on the central regions to design tilted planes or even folded planes. TORUS now allows users to grade central regions starting from the exterior (Inscribed Circle Diameter) to the central island. The benefits of TORUS will save you time and money on your roundabout design during the conceptual, feasibility, preliminary, and detailed design stages.